A new kindergarten teacher has started at Hanamaru Kindergarten! Although, he is the only male kindergarten teacher but he off to do his best on his first day! Running already late, he sees a little girl waiting by herself. This odd but cute little girl happens to think that he's hitting on her because of the romance movies she has seen. 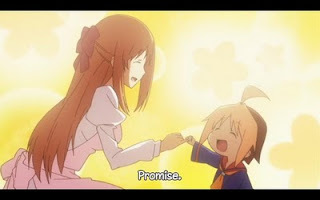 Once, Naozumi Tsuchida sees her mother racing over to her daughter, he quickly races off to work. Unknowing that the little girl he had just met will be one of his students. Naozumi Tsuchida happens to meet another young Kindergarten teacher named Nanako Yamamoto. He falls head over heels for her in first sight. Unfortunately for him, the little odd girl named Anzu develops a huge crush on him and will do whatever it takes for him to notices her instead! However, she always fails to win his affectionate attention but still wont give up! 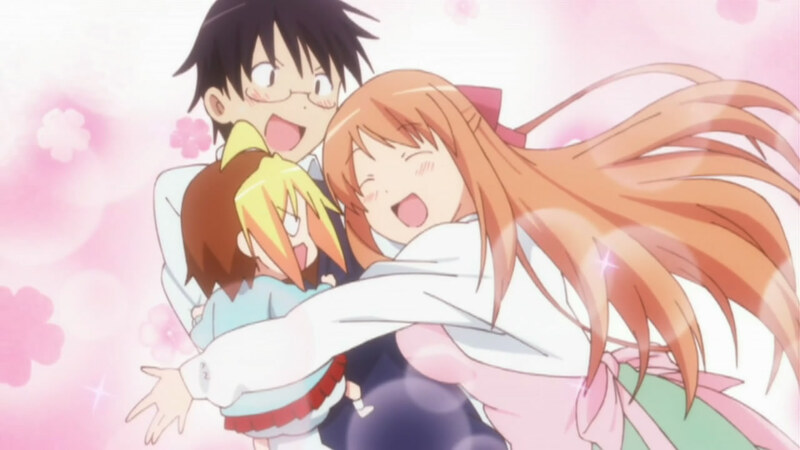 Anzu becomes good friends with two other little girls. One of them is a very shy girl named Koume. She quickly became friends with Anzu in the start of the semester. Koume has a red ribbon which she holds very dear to her heart since it was a gift from her older brother. As for Anzu is much more wild and does unsafe actions that usually cause many adults to worry but she means well and is too funny not to love her. As for someone that remembers having crushes in a young age, I understand how Anzu feels. (laughs) When I was very little, I was always looking for Prince Charming and had lots of strong crushes and done things that I look back on...Well, let's just say I was in love! (Don't judge me T.T ) Anyways, enough about me let's talk about this Anime! Hanamaru Kindergarten is really cute and lots of fun to watch! The artwork is very lovely and there's actually different ending in each episodes. Also, there's a fun dance that the kids do from their favorite cartoon called Panda Neko Taisou. Luckily, you can watch Hanamaru Kindergarten on crunchyroll! Enjoy the Cuteness!